Motorola’s flagship for 2013, the Moto X, is now available from AT&T for $199 on new 2-year contract. It feels like this moment has been so long in the making. We have gone through months of rumors, been to New York and back to get our hands on it, watched readers take sides over the price and specs, spent enough time with the phone to put out a full review, and even customized our own through MotoMaker. As someone that lives in this industry on a daily basis, even I can admit that I’m happy this day has finally arrived and the hypebeasting can slow down a bit. Now, it won’t completely die since we still have to wait for the Moto X to arrive on other carriers, but this at least gets one out of the way. For those new to the Moto X, think of it as a different kind of phone. It has specs (at least on paper) that aren’t going to blow your mind. We aren’t talking about a 1080p display or a next-gen quad-core processor here. Instead, Motorola tried to fine-tune the experience like no Android phone before, but then take it all to the next level by offering users the opportunity to customize the appearance of the phone for free, something no other company has done has even attempted. We’ve grown particularly fond of the phone over the last couple of weeks, and can’t recommend enough that you all go get your hands on it before writing it off. It really is a great smartphone experience, outside of a questionable camera (that we hope can be fixed with software updates). So again, the phone is now available from AT&T for $199 (16GB) and $249 (32GB, not available yet) both in stores and online. The 16GB model is $579 at full retail; the 32GB model will likely be $629. If you feel like getting ripped off, you could use AT&T’s Next program and pay $27 per month for it. Stores will carry the white and black versions with woven back designs. If you want to customize your own Moto X, you’ll need to do that through MotoMaker.com (our tour of MotoMaker). If that sounds intimidating, you can always stop by an AT&T store to see all of the colors and customization options in person before taking to the web. I would actually recommend you do that, just so you know what the colors look like in person. Our spearmint green Moto X surprised us a bit upon arrival. Note – We’re still waiting for the Moto X to go live on Motorola’s site, which means MotoMaker isn’t live either. We’ll update this post as soon as it’s all up. 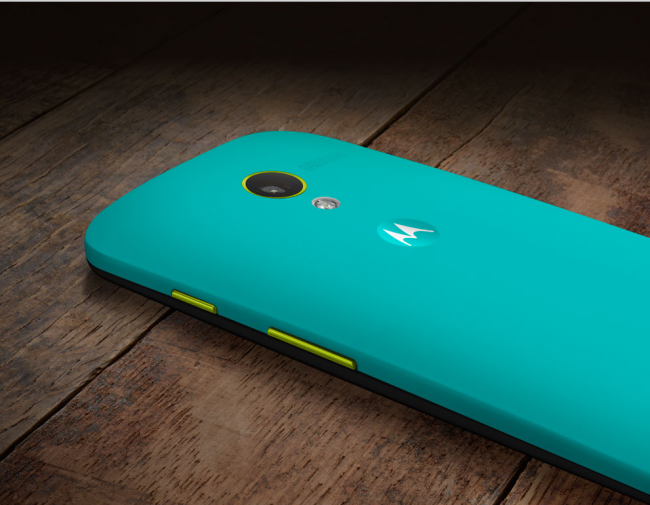 Who has decided to join the Moto X party? Going custom phone or sticking with black and white? And again, don’t forget to read our Moto X review.